Poland is the largest country in Central Europe. For centuries, it has endured invasions and wars, but the Polish people have kept their language and their culture. During World War II, Hitler’s armies invaded Poland. They built a concentration camp here where many people were killed. After the war, Poland became part of the Soviet Union. Poland broke free from the Soviet Union in the 1980s. It is slowly becoming prosperous again. Many people in Poland are small farmers. They use horses, plows and traditional farming methods. They grow potatoes, cabbage, beets, and grain. Poland has a heritage of folk music, arts and crafts. Wooden furniture is brightly painted and clothing is embroidered. 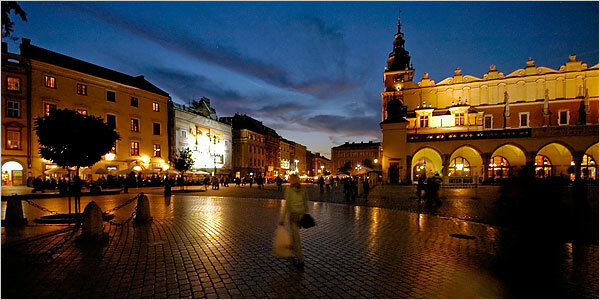 Poland has many old beautiful buildings and cities. Nicolaus Copernicus was a Polish astronomer and mathematician who concluded that the earth was not the center of the universe and that the sun was. Poland have 17 Noble Laureates winners (the greatest benefit to mankind). 38,104,832 people live in Poland (data 2018). Andzej Duda is the President of Poland (data 2018). Poland has 117,552 square miles of land. Poland shares borders with Germany, Czech Republic, Slovakia, Ukraine, Belarus, Lithuania and Russia. Most people here are Roman Catholic. Poland has a multiparty democracy. The Polish currency is the Polish złoty. People can expect to live 73 years in Poland. Poland became a NATO member in 1999 and an EU member is 2004. Marie Curie was born in Poland (Warsaw) in 1867. At 2,503 m Rysy is the highest mountain in Poland. At 651 miles the Vistula is the longest river in Poland. The Baltic Sea is off Poland’s northern coast. Poland has an impressive array of wildlife such as: Moose (in Europe they are called Elk), Eurasian Lynx, Wolves, Bison and Otters along many others. Question: Is Poland an old country? Answer: People have lived there since at least 2,000 B.C. The borders have changed many times over the years. Here’s a map of the country of Poland and all its cities and villages. Zoom in to get into street level or zoom out to see other countries around Poland! You can see the terrain, but also see the roads, images of the buildings and even take a 3D tour through the streets of the cities of Poland, as though you are actually there! Enjoyed the Geography for Kids all about Poland info? Take the FREE & fun all about Poland quiz and download FREE all about Poland worksheet for kids. For lengthy info click here. Declan, Tobin. " Poland Facts for Kids ." Easy Science for Kids, Apr 2019. Web. 25 Apr 2019. < https://easyscienceforkids.com/all-about-poland/ >.